Hand sweating can stem from a number of issues, from anxiety to simple biology. Whatever the reason, you may find yourself avoiding handshakes or otherwise feeling embarrassed by the condition. Luckily, there are a few ways that you can treat your sweaty hands at home. In this article, we will provide you with some home remedies for hand sweating. Not only will we provide you with these remedies, we will also show you how to use them. Home remedies are a lot less expensive than taking supplements or using costly creams to treat the issue. Cornstarch works a lot like talcum powder. That is to say, it is able to instantly absorb the sweat on your hands. It helps to keep your hands dry for longer than talcum powder might. You can find cornstarch in any grocery store. It comes in abundance so that you always have some on hand. Cornstarch is also an effect home remedy for body odor. Dust your hands with cornstarch half an hour before you need to go somewhere. After half an hour has passed, rinse your hands off. You can do this throughout the day and put it on with some gloves before you go to bed at night. 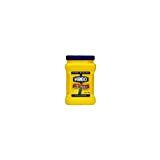 Argo Corn Starch, 35 oz. Baking soda works in a similar way as cornstarch does. It is alkaline in nature, helping to get rid of the acidity in your sweat. 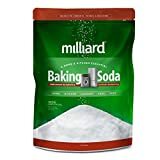 Baking soda comes in a variety of different sized containers. You can carry around baking soda in small containers to dust your hands with throughout the day. You can also use it as a preventative each day by following the suggestions below. Put three tablespoons of baking soda into warm water. When it starts bubbling a bit, put your hands in the water for half an hour. Pat them dry with a clean cloth when you are done. 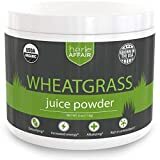 Wheatgrass can be consumed both in powder form or juice form. It is able to neutralize the toxins that sweat releases from the body. Because of this, you can get rid of the acids that form on your hands when you sweat. It is able to get rid of the toxins which will also reduce the need to sweat. 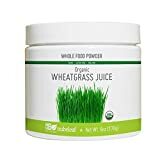 Drink three to four glasses of wheatgrass juice each day. You can also get wheatgrass powder and rub it on your hands. You can also soak your hands in wheatgrass juice for half an hour. Pat your hands dry after soaking them and go about your day. Organic rosewater is an excellent treatment for sweaty palms. 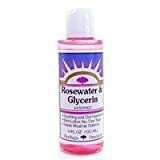 You can get rosewater from virtually any store, and it is very inexpensive. If you already have roses in your garden, you can make your own rosewater at home with ease. Rosewater helps to not only soak up the sweat but to reduce the odor that sweat causes as well. Spray the store-bought rosewater onto your hands. Boil a cup of water with fresh rose petals in it. Strain the blend and let it cool in an air-tight container. Wipe your hands down with the rose water. Lemon juice not only helps to neutralize the pH of your hands, but it also helps with getting the odor under control. This is because of its natural sweet and sour fragrance. You can use store-bought, bottled lemon juice or make some yourself by squeezing a fresh lemon. Either way, the lemons and the juice can be found at the grocery store. They are also inexpensive. Dilute a bit of lemon juice with just a splash of water. This is especially important if you have sensitive skin. Dip a cotton ball in the mixture to soak it. Dab this mixture onto your palms and let it dry. Apple cider vinegar also helps to get the pH of your skin balanced. Not only does its acidic nature do this, but it works as an astringent as well. This can be used to keep your pores tight and help you sweat less. You can apply it to the skin or you can drink it. For best results, do both. 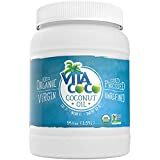 Apple cider vinegar can be purchased cheaply at any grocery store. You may already have some in your home. Put some apple cider vinegar onto a cotton swab. Dab the liquid onto your palms. Rinse your palms with cool water to reduce the smell. Tomato juice is a great neutralizer for the pH on your skin. It also acts as a coolant for the skin. By cooling you off, you can actually minimize the production of sweat on the skin. 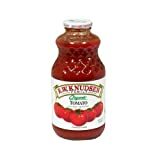 Tomatoes have large amounts of juice in them. You can use the fresh tomatoes you have in your home or it can be purchased at any grocery store. After soaking your hands, let the tomato juice dry. Rinse off the tomato juice and go about your day. Do not use soap; only use cool water to get rid of the red color. Boric acid can absorb excess sweat with ease. It is derived from borax. This compound is a hefty antifungal and is great at stopping excess sweat in its tracks. It is best to sprinkle it onto your gloves and wear them around for best results. You can find boric acid at virtually any store. It is inexpensive and makes for an excellent home remedy for hand sweating. Sprinkle some boric acid onto your gloves. Put them on and wear them as much as possible for the next 72 hours. After the time period has passed, take off the gloves for a while. Wash off your hands using warm water and mild soap. Also know as hydrogen borate, it can be used as a naturally occuring all purpose cleaner. Use it as an algae cleaner and preventor, reduce your chlorine levels, or level out your pH alkalinity all in your pool. Fuller’s earth is one of the best things that can be used to cool off the body. It is commonly used during the summer to help lower a person’s temperature and make the heat more bearable. For this reason, by lowering your temperature, you will sweat less. It is especially useful for you to apply fuller’s earth to your palms directly and let it work right at the source. Apply a generous amount of fuller’s earth to your hands and allow it to sit for 15 minutes. You can also get enough fuller’s earth to submerge your hands in for a heavier effect. Rinse off the fuller’s earth after 15 minutes have passed. 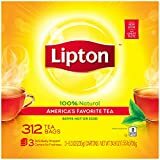 Tea is full of antiperspirant and astringent properties. Both of these work excellently, hand in hand, to help you stop sweating. By drinking tea each day, you could help your pores close and enjoy less sweating. Furthermore, you can apply the tea to your palms directly and allow them to soak. It is recommended that you use black tea for this home remedy for hand sweating. Soak four or five bags of tea in the water. Allow it to steep for 20 minutes. Soak your hands in the tea for 30 minutes. When you are done, do not rinse or wash your hands for best effect. 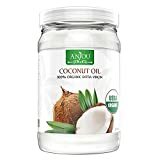 Coconut oil is an excellent treatment for many different skin ailments. It is particularly useful to help stop sweating; this is because it is a natural antiperspirant. It is full of lauric acid that naturally kills the bacteria in your sweat that causes odor. This way, you can both stop the sweat that your hands produce as well as the offensive odor. Warm up a bit of coconut oil in the microwave. You can also warm it up by skipping this step and rubbing it in your palms; this helps your cause, anyway. Rub it into your palms like you would do with lotion. Allow it to dry and do not rinse it off afterwards. There are some things you eat that can make you sweat more than normal. There are also some things that will make it less likely for you to sweat profusely. A proper diet will help prevent the sweat to a great extent. Foods high in iodine, zinc and magnesium are the best for this. You can find many of the ingredients you should be eating at your local grocery store. Try to incorporate as many of them as you can into your diet. Charcoal is excellent at absorbing excess sweat. It can also extract toxins from the body. Sweat, of course, is the removal of toxins from your body. 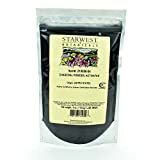 By taking toxin removal into your own hands by way of charcoal, you can help your body reduce the need to sweat so much. You need to use activated charcoal for this. You can find activated charcoal at any beauty counter. You can eat a spoonful of activated charcoal with a glass of water each morning. Some people have bad reactions to swallowing it, though; in this case, rub it on your hands. You can rub a blend of water and charcoal onto your palms. Allow it to sit and then rinse if off after 20 minutes. Produced and packaged in the US. Potatoes are excellent at reducing sweat. They are also the easiest of the home remedies for hand sweating. You just need to apply it to the palms in order to help dry up your skin. Potatoes may also work as a sort of astringent; this will close up your pores and help eliminate sweating. Slice up the potato and rub them on your hands. Let the potato juice soak into your skin. Rinse off the juice after around 20 minutes. 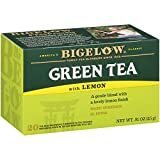 Green tea is great at stopping the growth of bacteria. This can help stop the odor that comes with the sweating. Not only this, it can detox your body. By detoxing, your body will have less of a need to sweat them out. In a mug, drop in the green tea bags and add water. Let the tea steep for 15 minutes. Drink the tea each day. You can also rub this tea on your palms directly. Hand sweating can make you feel less confident about yourself. No matter the reason your hands sweat, there are remedies to help stop it. In this article, we have given you 15 home remedies for hand sweating. Which one worked the best for you? Let us know in the comments.